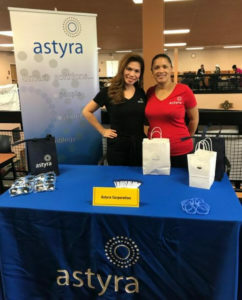 Astyra tabled the Virginia State University and Reynolds College job fairs in September and the RVA Career Expo earlier this month. At each of the three events, individuals were given the opportunity to learn more about us as well as receive information on available jobs. We believe job fairs are a great chance for people to find possible employers in a stress-free environment. We’re glad we were able to enlighten the community on some career options we have.